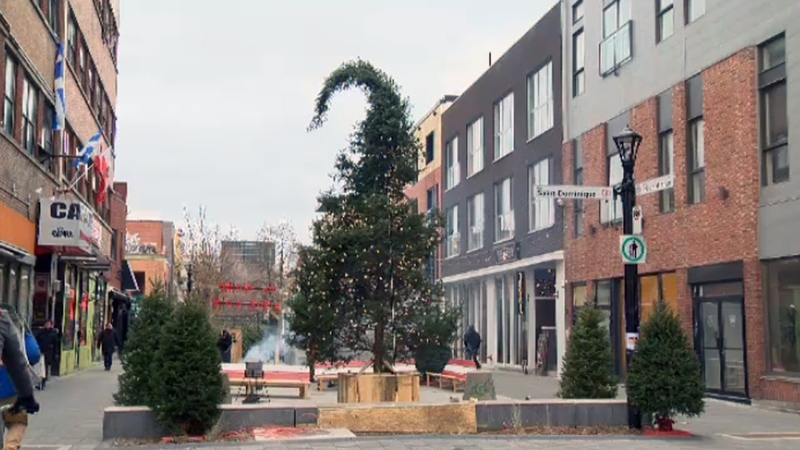 Montreal’s Ugly Christmas Tree Village! From November 24 to December 23, you can check out another Christmas village in Montreal called the Ugly Christmas Tree Village. The ugly tree is meant to be the main attraction. It is 20 feet tall and looks like it came right out of a Dr. Suess Christmas book. The village is located on Prince Arthur Street close to the entertainment district. This is just one of many Christmas markets around the city. It is really hard not to get into the Christmas spirit in Montreal! Every corner you turn there are fantastic decorations, twinkling lights and festive treats! Join us to learn English and French in Montreal with EC!